Washington, DC – Today, at the 2016 Family Online Safety Institute (FOSI) Annual Conference, the Future of Privacy Forum (FPF) and FOSI released a white paper, Kids & The Connected Home: Privacy in the Age of Connected Dolls, Talking Dinosaurs, and Battling Robots. FPF and FOSI understand that connected toys are creating opportunities for interactive play and education, but also creating new privacy and security challenges. 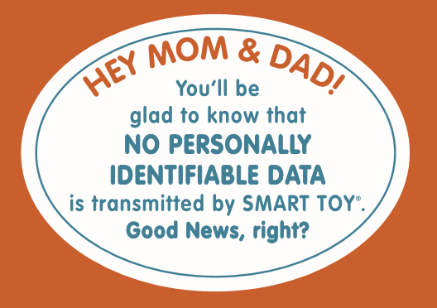 Toys that can become a child’s closest friend, play games, and provide advice through the use of sophisticated cloud-based computing and personal information are raising questions about how to ensure families can make appropriate choices about how data is collected and used. Kids & The Connected Home describes the current landscape of connected toys, identifying what distinguishes them from conventional toys and other smart toys. The white paper analyzes existing regulations under COPPA that have established important safeguards for information collected from children, and how those regulations apply. Stacey Gray, FPF Policy Counsel, points out that shopping for connected toys often happens in retail stores, where COPPA does not require a privacy disclosure. The report also provides several leading privacy and security practices that can help companies build trust, such as: 1) Determine when local processing, remote processing, and third-party sharing is appropriate, and mitigate security risks for the selected approach to data processing; 2) Ensure that strong encryption standards prevent the toy from communicating with unauthorized devices or servers; and 3) Do not use passwords that cannot be changed by users, and do not share a single default password between toys. Connected Toys. Does COPPA apply to connected toys? And does the screen-less nature of many connected toys suggest that an update to COPPA may be required to adequately address privacy concerns? Connected Homes. Does COPPA apply to general connected home devices that serve families? Parental Controls. Do parents have appropriate controls and information to make well-informed decisions regarding their children’s interactions with the connected home and toys? If not, how can this be addressed? Data Security. 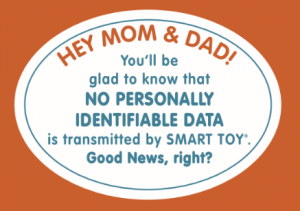 How do we ensure that connected toys are sufficiently secure? The Family Online Safety Institute (FOSI) is an international, non-profit organization which works to make the online world safer for kids and their families. FOSI convenes leaders in industry, government and the non-profit sectors to collaborate and innovate new solutions and policies in the field of online safety. Through research, resources, events and special projects, FOSI promotes a culture of responsibility online and encourages a sense of digital citizenship for all. Learn more about FOSI by visiting www.fosi.org.